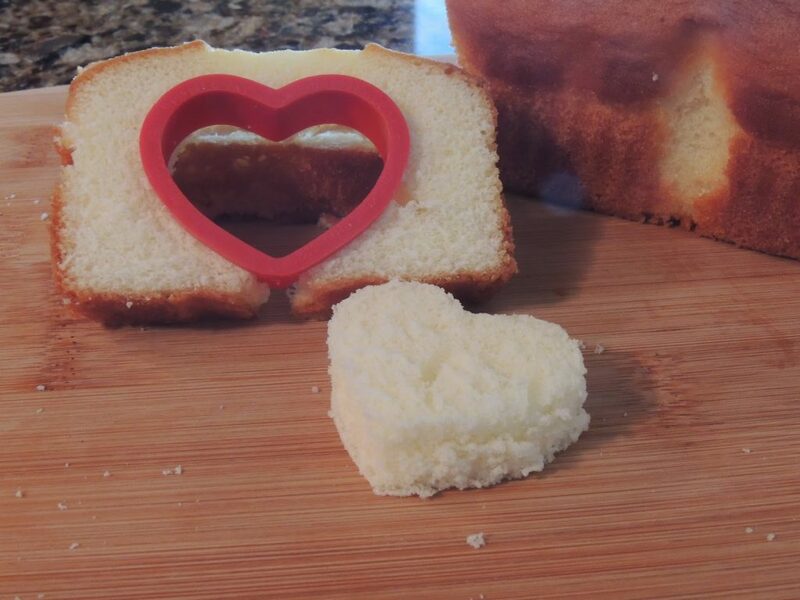 Using a heart shaped cookie cutter, cut shapes out of the pound cake. 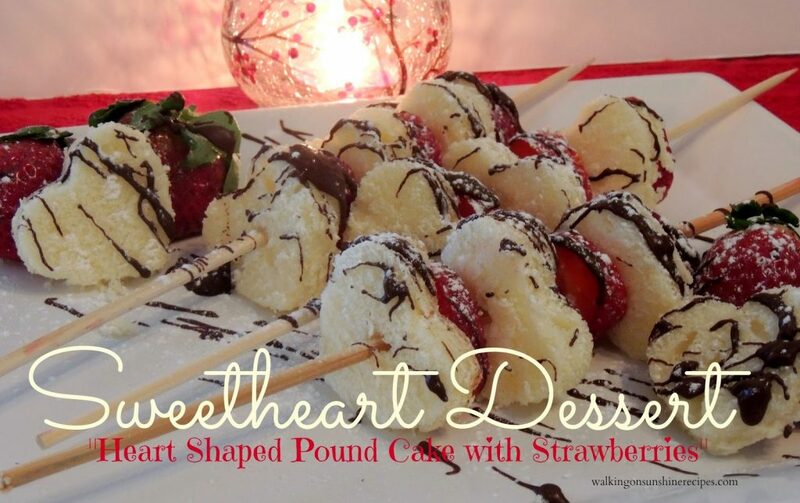 Using a wooden skewer, start adding the cut out shapes of pound cake with the strawberries. Drizzle melted chocolate over the pound cake and strawberries right before serving.